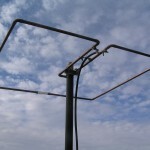 This category lists all posts related to homebrewing my own antennas. 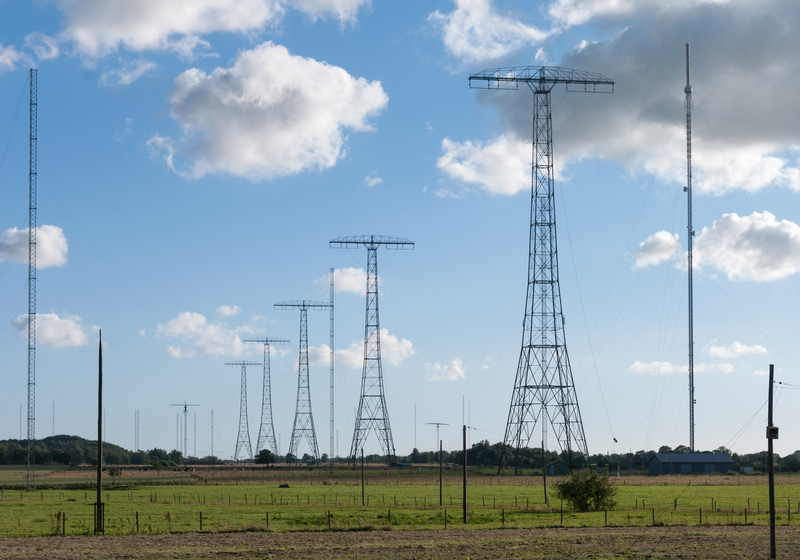 The huge VLF antenna of SAQ near Grimeton, Sweden (credits). 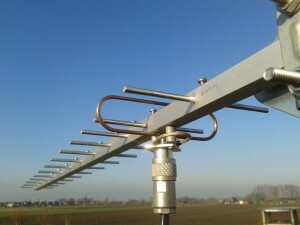 My 23cm yagi antenna, in fixed position to the local ATV repeater. 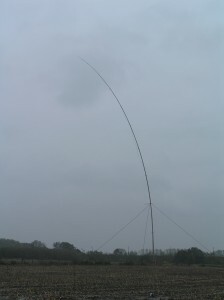 Our 5/8 vertical for 20m, during a windy day. 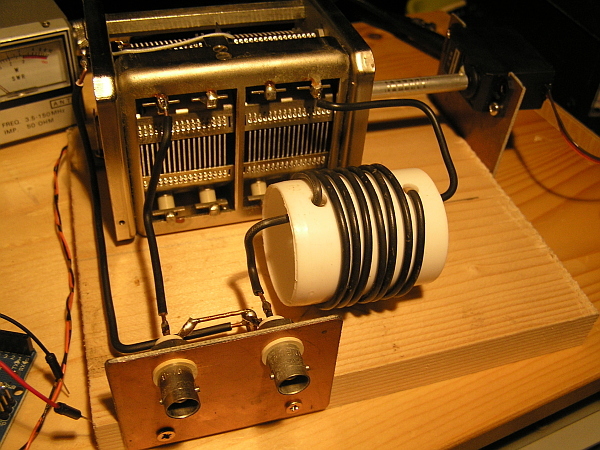 Lots of radio amateurs build their own verticals. Most of them tend to stick to vertical antennas with a 1/4 or 1/2 wave sizing. 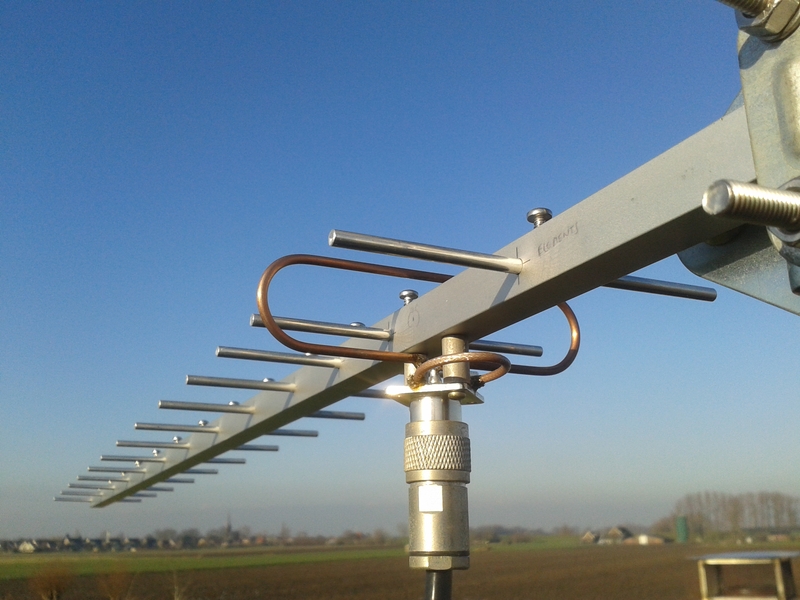 Just a happy few build a 5/8 wave vertical antenna. This is remarkable, since the 5/8 has the lowest angle of radiation and has about 1dB more gain (compared to 1/4 and 1/2 verticals). So the 5/8 should be the favourite choice for DX’ing. The kit contents: extensive documentation, a professional circuit board, and all necessary components. 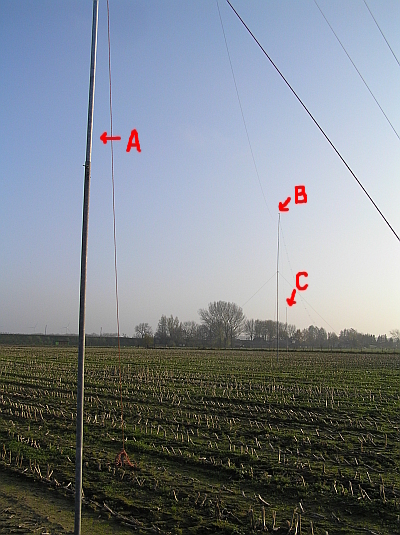 I’ve been using J-pole antennas on the 2m band from the first day I got licensed. 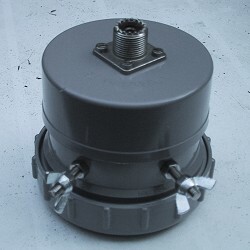 They perform very well, are easy to construct and are cheap. Since Adrian PA0RDA and I have been experimenting with vertical antennas for HF, we came to the idea to try those J-poles on HF. 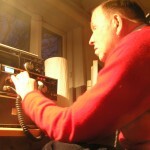 Adri PA0RDA, a friend of me, is trying to do some DX on 6m for a while now. His antenna position is very poor: he lives in the bottom flat of a 5-floor building. He has a balcony on the rear (south) side, but high buildings are very close, he has no direct sight in any direction. 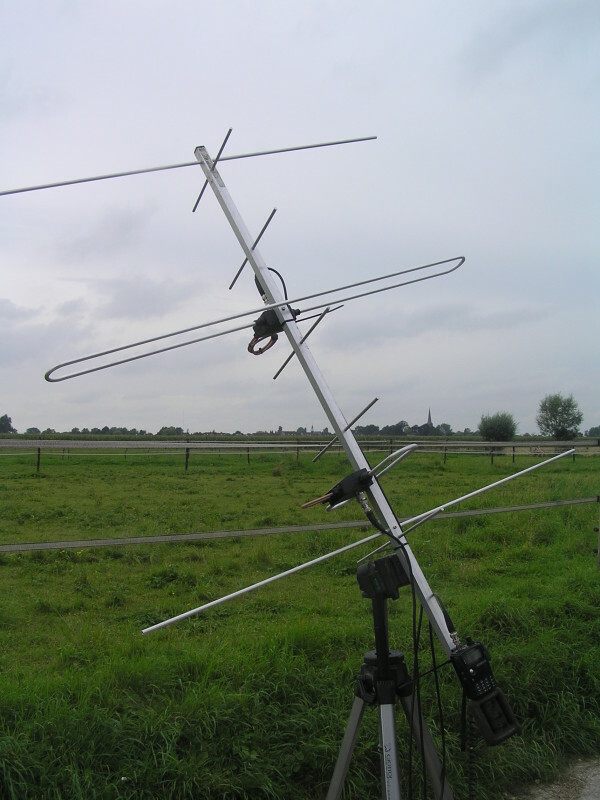 At the balcony he has a Diamond V2000 vertical antenna for 6/2/70, and an MFJ loop antenna for 15-40m. 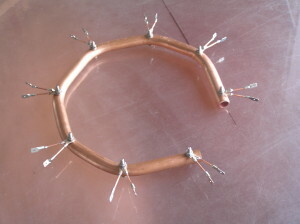 The 6m band is his most popular one, since he get best results on this band. 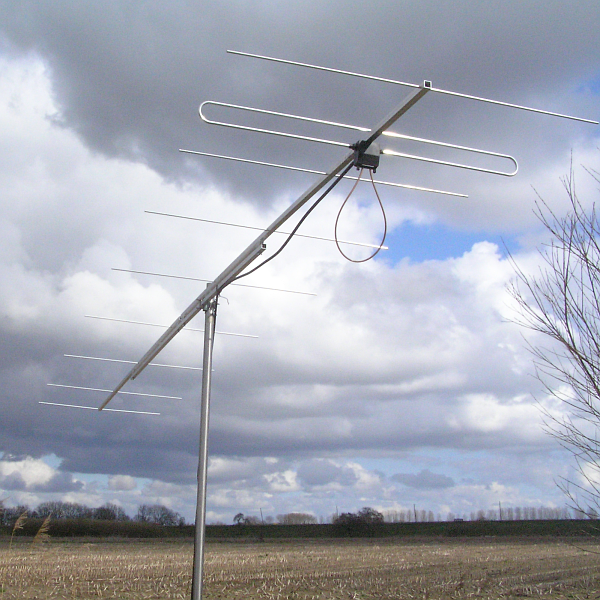 However, since most DX on 6m is horizontally polarized, he needed a horizontal antenna. I remembered an all-direction horizontal antenna made by Jan PA3EGH (one of the members of the local radio club). So I contacted him, and he pointed me at his website. It was the “Squalo” antenna, or square halo. 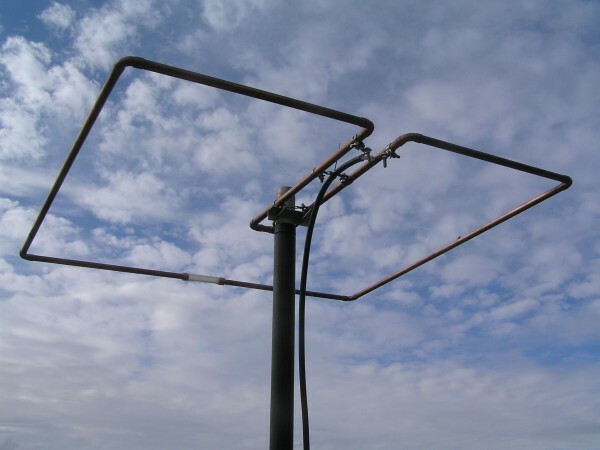 In fact, it’s just a square folded dipole. It radiates in all directions, with -4dB gain on the sides (compared to the front and back side). 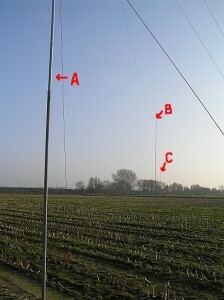 The HEDZ for 80m and 160m requires 3 poles A, B and C. Pole B is 15m tall, A and C are 9m. The distance from A to C is over 100m. After the somewhat disapointing results of the DJ9BV antenna, I decided to try another model. This time I selected a 9 element DK7ZB for my test. 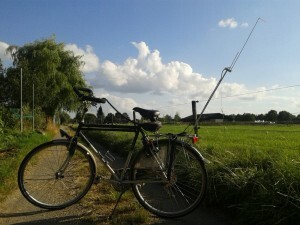 I already bought some square alu bars, each 250cm tall. Since the 9 element DK7ZB is 5 meters tall, this should fit perfectly. 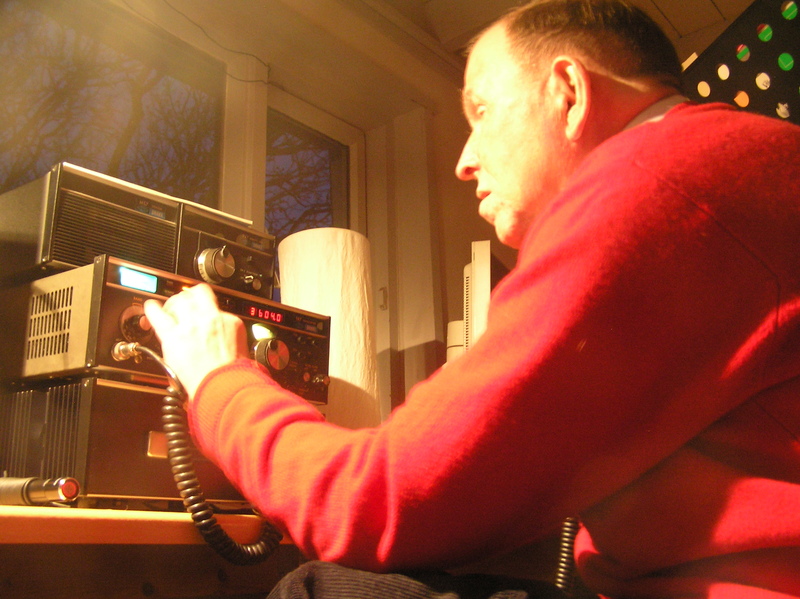 Some years ago a friend offered me an HF radio: an Icom IC-730. 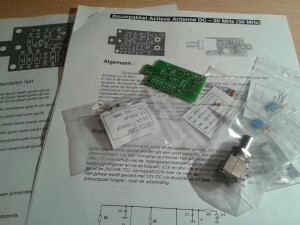 I decided to buy it, since I didn’t have a HF rig yet. 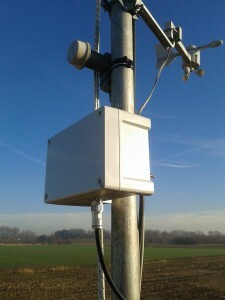 I gave it a nice place on my shelf, connected some meters of wire on the antenna plug, and from that moment I sometimes listen to all kind of chirps and beeps. I recovered my Hamcomm modem to see some wxfax images and SSTV, I tried to follow CW QSO’s again, listened to some conversations in SSB, etc. Although this is not bad at all, I wanted to participate again. Since I moved to Utrecht, my radio activity was very low. I didn’t have any antennas on the roof, which made it difficult to pick up this nice and interesting hobby again. But… after participating in the 2002 jamboree on the air I decided to revive my radio hobby. And since I moved back to the country late 2005, I had all opportunities to set up antenna’s.